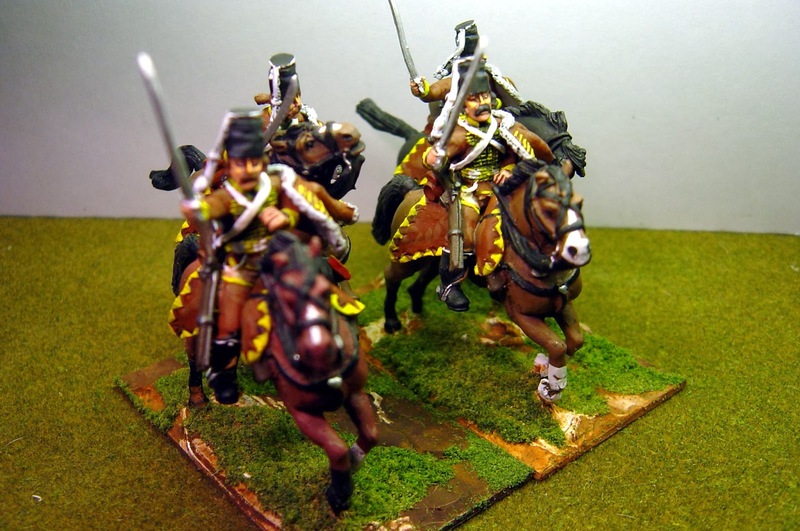 Here is a squadron of Sash & Saber's new 40mm SYW Prussian hussars. I've just done the four figures and I plan to have 4 squadrons in total. 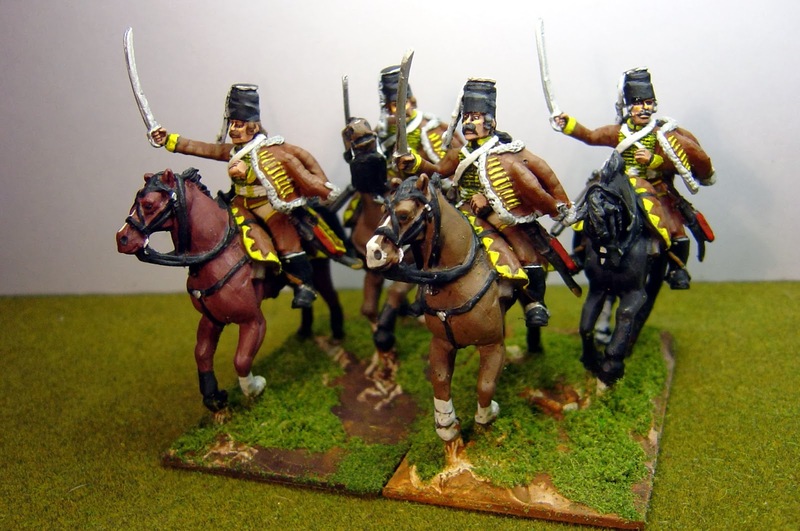 At full strength Hussars were 10 squadrons strong, divided into two 'battalions' of 5 squadrons each, but were regularly hived off into smaller parts. 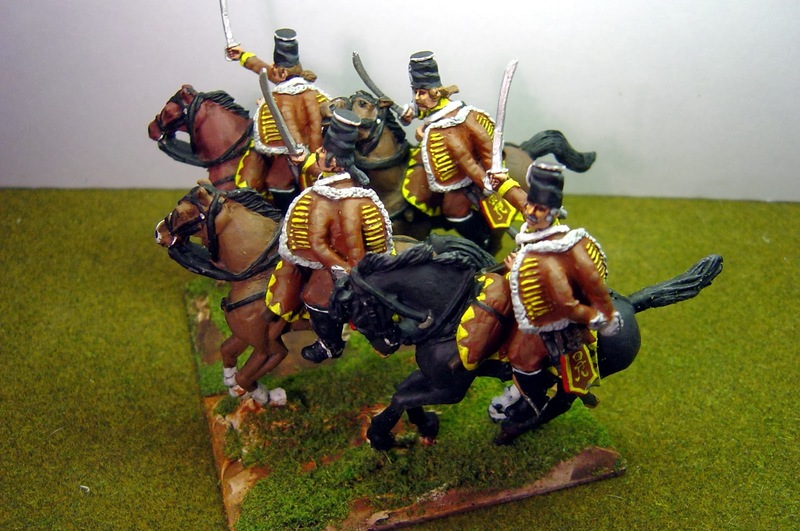 I painted this unit because of the unusual uniform, brown being quite a rarely used colour in the 18th century. 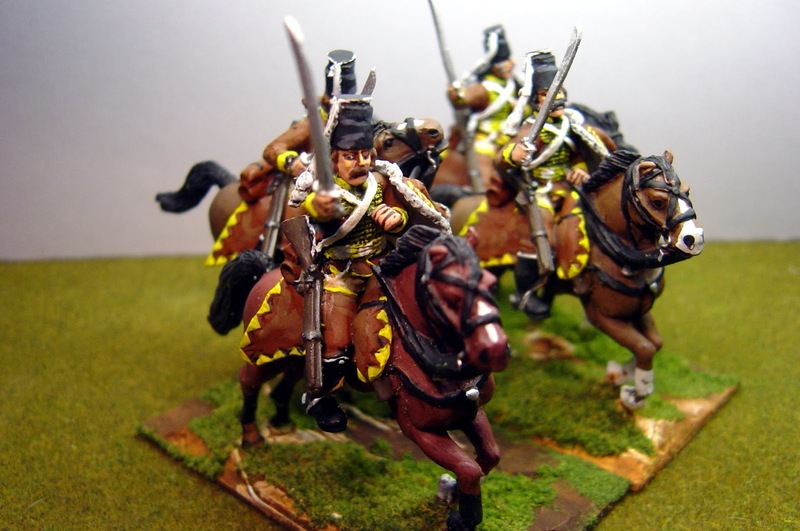 The regiment was often referred to as” die Kapuziner” (the Capuchins) or the “Fleischhacker” (the butchers because brown was the colour of the guild of the butchers). What a great unit - beautiful color scheme! Beautiful work, love the colors too! 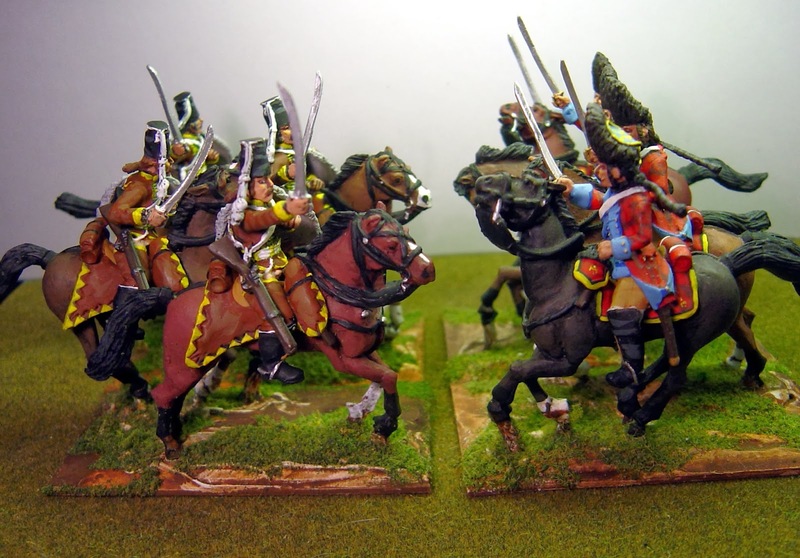 Yes, lovely, unusual, and not often (I think) a color used by wargamers for their hussars. Such an impressive unit you did - again a wonderful output of your hands! Love to see them in skirmish!